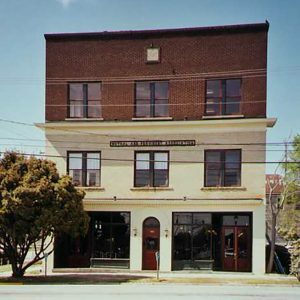 The North Carolina Mutual Building was built in 1909 by the N.C. Mutual and Provident Association, a black-owned life insurance company with an office here until the mid-1930s. Built as a two-story commercial building, with a third story added after 1927, it was part of the Washington Street business district, an important part of Columbia’s African American community. This building had stores on the first floor and professional offices on the upper floors. The Palmetto Grand Lodge owned the building from 1927 to the early 1940s. The N.C. Mutual Building was listed in the National Register of Historic Places in 1995.